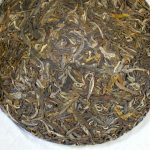 We have released 2016 Lao Hei Zhai Raw Pu-erh Tea. We used to have the tea with the same name produced in 2011. 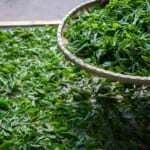 However, this year we have changed not only the tea garden but also the manufacturer. The quality is a lot more upgraded. Zhai in Chinese means small village. So Lao Hei Zhai means Lao Hei village. 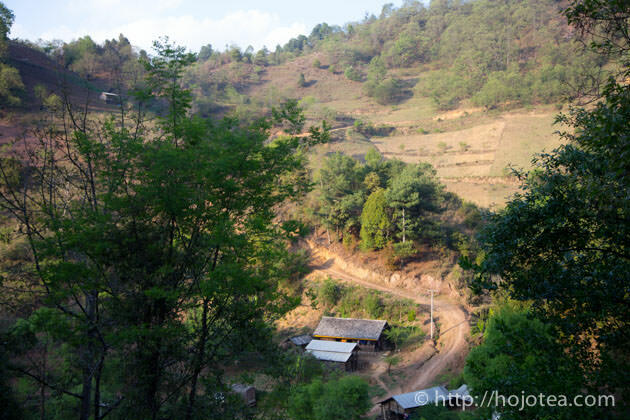 The Lao Hei village is a small mountainous village situated in Feng Qing County, Lincang city, China. 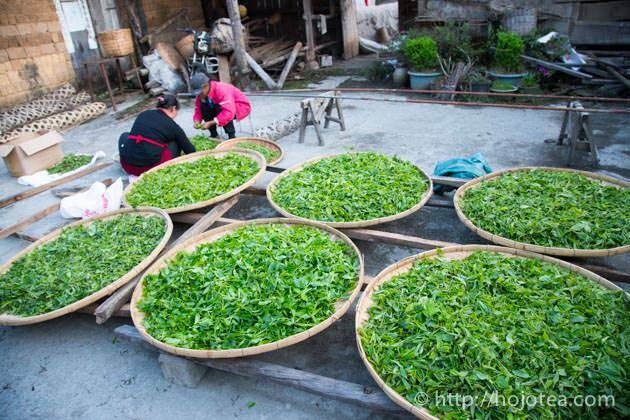 Feng Qing is a very well-known production area for Yunnan Black Tea which commonly known as Dian Hong. 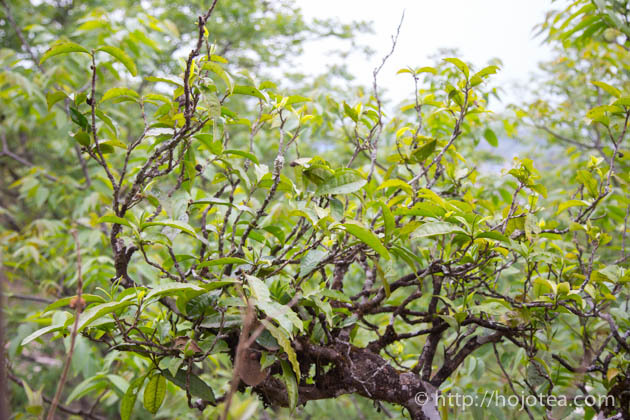 However, not many people know that in Feng Qing area a huge number of old tea trees exist. 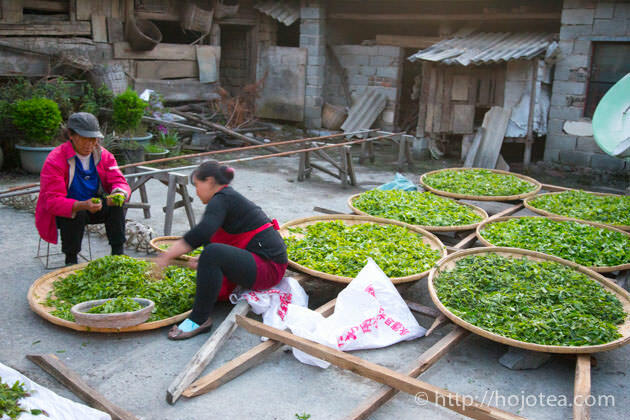 Generally, tea gardens for Yunnan black tea is situated near the city center, while those old tea trees grown in the remote villages. 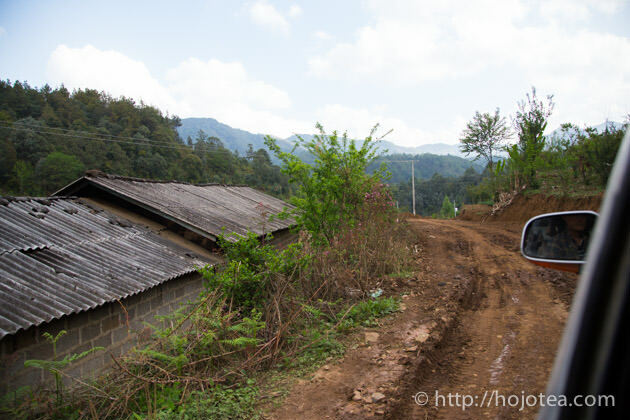 Many villages are located deep in the mountain, and it is inaccessible during heavy rainfall. 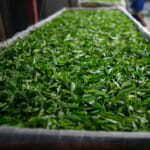 If we are willing to travel deeper, Feng Qing is a very attractive source of good tea material. 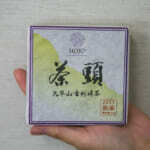 One of the outstanding teas in HOJO’s lineup is Ma An Shan. 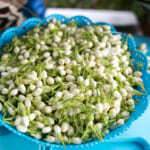 It gives extremely strong body as well as deep and long lasting aftertaste. 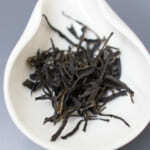 Wu Liang Shan raw pu-erh tea is also positioned at the higher end of our lineup. It gives intermediately body and strong aftertaste. 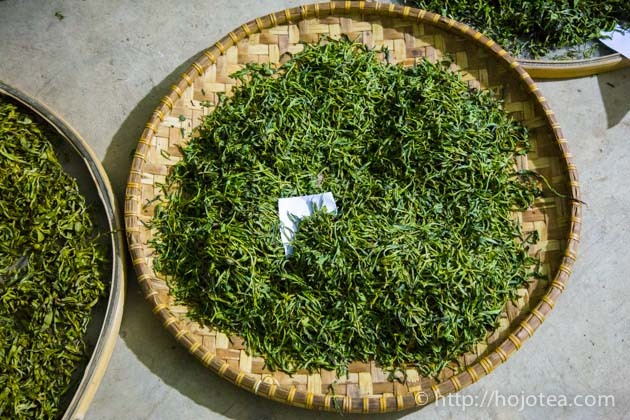 In addition to these two teas, what I wanted in Lao Hei Zhan is the extremely strong aftertaste and light body. Eventually, we have three teas that give very strong aftertaste and with three different levels of body. 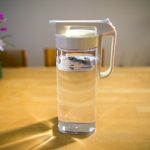 The taste of tea with the light body is clear and transparent, yet its aftertaste is very deep and the sweetness remains down our throat for a long time. 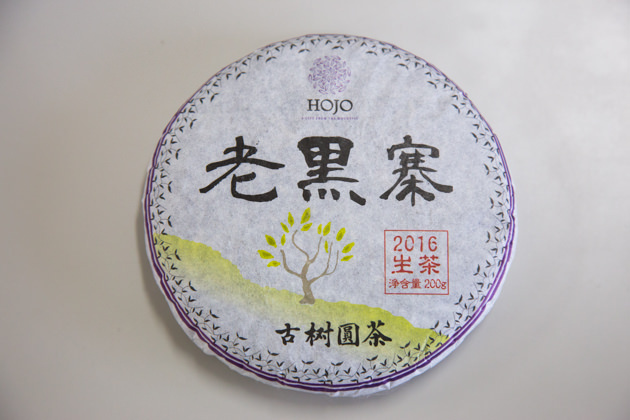 This tea is also suitable as a daily drinking tea. You may experience the tea drunk effect after drinking Lao Hei Zhai raw pu-erh tea. 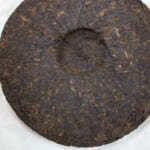 The pan-frying process of Lao Hei Zhai raw pu-erh tea is slightly lighter than other pu-erh tea. 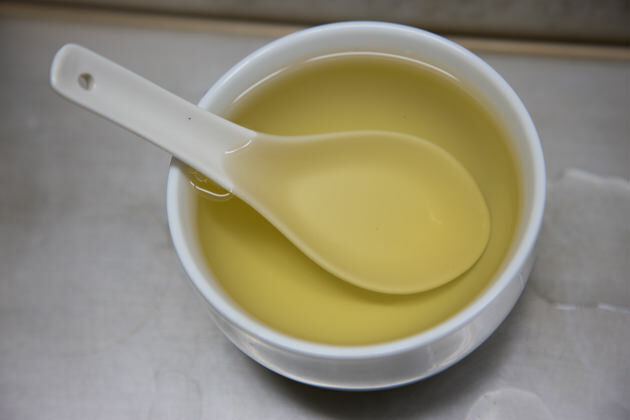 As a result, a minor portion of active oxidation enzyme (poly phenol oxidase) is remained in the tealeaf. It causes semi-fermentation during the sunshine drying process. 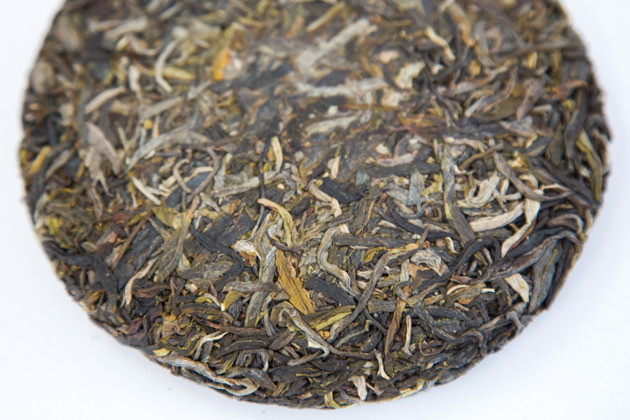 Consequently, Lao Hei Zhai gives floral flavor reminiscent of Taiwan High mountain oolong. 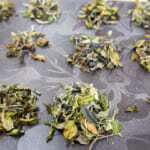 In our tea lineups, you may observe the similar flavor profile in Mei Lan and Du Mu Chun raw pu-erh tea. 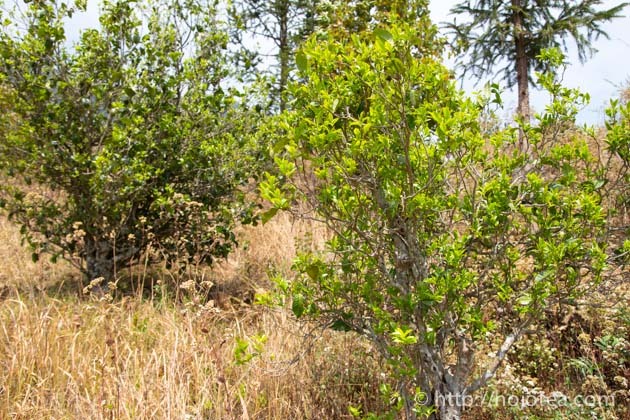 Thanks to the natural farming method, this tea is particularly rich in poly phenol and minerals. 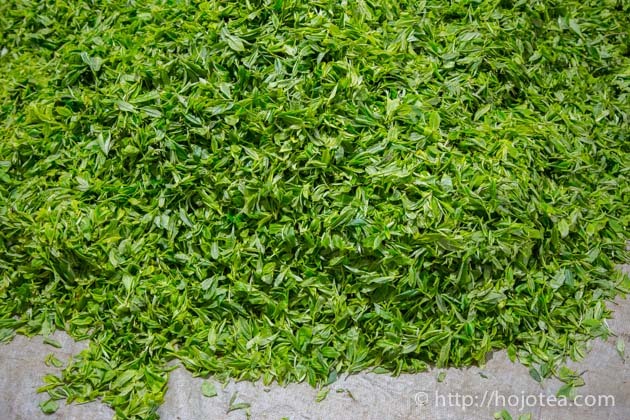 It will never let you down when you keep this tea for many years for further maturation.